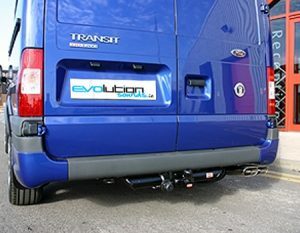 When the European towing brackett manufacturers such as PCT (now Thule Towing Systems) began selling into Britain they introduced to the mass UK and Ireland market swanneck towbars (either with a welded or bolt on neck). 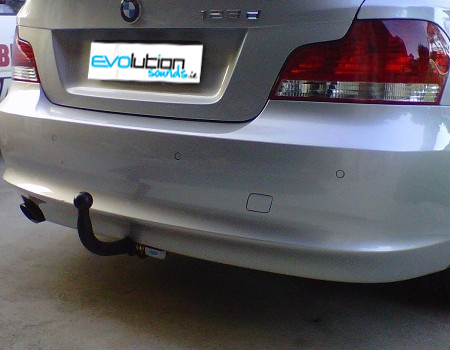 The swanneck towbar is the norm in most continental European countries such as Germany, but every year they become more popular in the UK and Ireland. 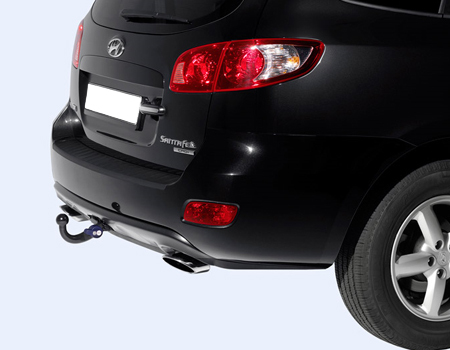 With a swanneck towbar instead of the neck of the towbar ending in a flange plate (to which a separate towball is bolted), the neck turns straight into the ball. Many people believe this is more aesthetically pleasing than the more common flange type, as usually the electrics are located on the main towbar out of normal view. However they do have disadvantages in that traditional blade type stabilisers (Bulldog, Snakemaster etc) often require an expensive and intrusive adapter. 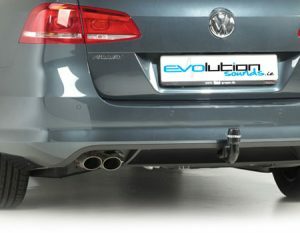 Also bumper protector plates, tow steps and pins and balls etc cannot be fitted. 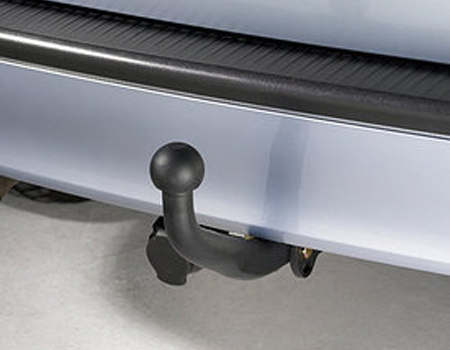 When refering to a swanneck towbar we would not normally include detachable swanneck tow bars.